This one-night party will feature everything that fans of Disney villains could ask for – up close encounters with some of the most popular Disney villains, “Hades Hangout & Dance Party,” “Oogie Boogie’s Variety Show,” a Star Wars villain zone, a new “Villainy In The Skies” fireworks spectacular, a villain-inspired pre-show to “Fantasmic!”, face painting, specialty food & beverage, event merchandise and more. Favorite Disney’s Hollywood Studios attractions, including The Twilight Zone – Tower of Terror, Rock N Roller Coaster, Toy Story Mania! and Star Tours – will also be available to enjoy. The party (similar to Mickey’s Not-So-Scary Halloween Party and Mickey’s Very Merry Christmas Party) requires a separate ticket for admission. Adult tickets cost $67 plus tax and children ages 3-9 cost $62 plus tax. 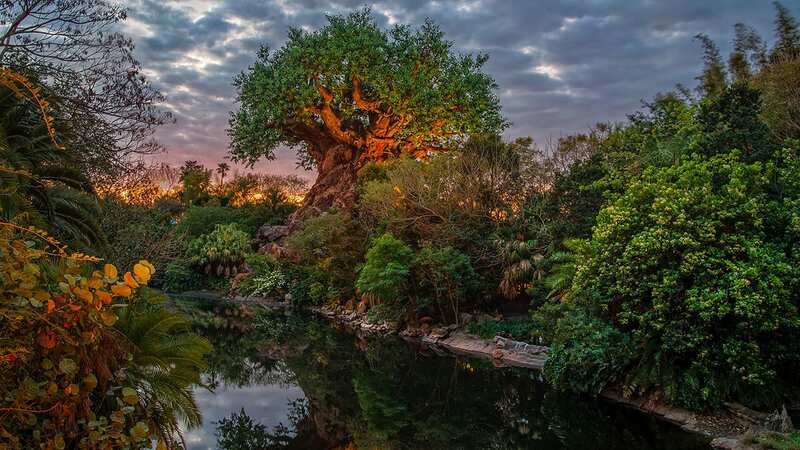 Annual Passholders and Disney Vacation Club Members can book their tickets now. All other guests can book beginning June 9. To book, call 407-939-1933 for APs and 800-800-9800 for DVC Members. Join the conversation online with the hashtag #VillainsUnleashed. *All costumes must adhere to any guidelines as determined solely by Disney. Please choose costumes that are not obstructive, offensive or violent. Guests’ eyes must be visible at all times. I would love to attend this! I’m coming to the MNSSHP:) Is Disney going to have Mother Gothel anytime soon? LOVE HER:) I would love for Ursula to be a meet and greet…I don’t understand why they don’t do this…villains ROCK! I would also like to see more animal characters like The Cheshire Cat and the Siamese cats from Lady and the Tramp…Marie walks around why not??? :) Have a Disney Day!!! Anyone know if tickets are still available? I see that there is also face painting like your favorite villian…any other details? It does not specify “for a fee” so is this part of the ticket price? We have tickets. It is our first time going to Disney. Is the whole park open or only select stuff. Trying to figure out if I should add another park hopper day to get there earlier to explore the whole park. Also what time is it over. I keep hearing different times. Also my travel agent was under the impression we could enter the park at five but the website says seven? What time can we enter the park if we don’t have park tickets that day? Will there be buses running back to the resorts after the event? You just need to log into Disney and purchase tickets under special events. It’s a really easy process. Just purchased tickets for our family! So excited! Can’t wait to see the Villains!! Do we need a separate ticket for the event if we attend DHS earlier that day? What number should I call when tickets go on sale for the general public tomorrow? Can I purchase tickets online or only by calling a number? What number do the general public call into on June 9th???? Hello, will there be FP+ available at this event? My bride of 28 years knows i LOVE THE VILLAINS. So for fathers day she bought us tickets .Cannot wait. Why can’t I find any information about this event on the WDW website? How will the general public be able to purchase tickets for this event when they go on sale on June 9th? Got my tickets yesterday early morning! Can’t wait as I am a huge Villain fan. Two questions, what will the capacity of this event be (how many tickets will be sold)? Second question is will a Disney Photopass Photographer be with each villain for photos? Thanks! I really hope that there are still tickets available on Monday, I am not an AP holder or a DVC member but I am an annual visitor and it would be a shame not to be able to attend this party while in WDW. The last hard ticket event we were able to attend was the Pirate and Princess Party. What time on June 9th do tickets go on sale? Am I staying up until midnight on the 8th or setting my alarm clock early? Got mine today too! Can’t wait! Do we have to phone for tickets on 9th June or will they be available online? If we have tix to just the party and not the park for the day, will we be allowed in early like MNSSHP and MVMCP? I am excited about this event and believe it will sell out quickly. As a villain fan, I am very happy to see this event offered. My only wish is that you would offer it for more than one night. Be nice if it ran every Friday for 4-5 weeks. One time events never seem very organized. Just like the first Halloween or Christmas parties, it is very hard to find out any information from cast members as to what is offered and where things are located. By the 2nd or 3rd they have much more information and things are running smoother. I also agree it would be nice to move this a little later in the year, to September even, as most costumes tend to be hot and temperatures in Florida are at their hottest in August. Where did you purchase tickets? I just went to Disney and it lists “they are not available” and check back when the date gets closer. I also wonder what type of crowd level it will bring. We’re also there on vacation that day. Curious? Already sold out. Booked my hotel last night at 1130 pm, called this morning at 8am EST and NO tickets left. Seriously bummed Disney fan. No worries about a 4 day presale, they only needed 1 day. This looks awesome. I hope they do it again at a time when I will be there! The timing could not be anymore perfect. We arrive on August 23rd. We just booked our tickets. Cannot want to see everyone. Sincerely hope this is a big success and becomes a recurring event! Yes! Please see the guidelines in the blog post above. I just hope there will still be tickets available on the 9th! We don’t need a regular park ticket for that day, right? Just the special event ticket, I assume. And any idea what time the park will allow attendees in? If you’re planning on attending the party only, you’ll need a party ticket. If you wish to visit Disney’s Hollywood Studios as well, earlier in the day, you’ll need a separate park ticket. The firework show for this event last time were amazing! The best I’ve seen (not including Wishes which is my all time favorite!). If it is a separate ticket this time around I’m hoping that Annual Passholders will have some sort of special price since we already pay them for our passes for the year. What are the hours for this event? Thanks. Has Ursula ever made an appearance in the Parks? It’s my dream to meet her, and if she were at this event, I’d want to book ASAP! Dressing as a Disney villain was a suggestion to fit with the party’s theme, but of course you can choose another option. Aladdin sounds great. Yes – there will be special fireworks AND Fantasmic! (with a special villains pre-show). Already bought my ticket earlier this morning! I really can’t wait for this event. I’m hoping to meet people like Ursula, Madme Mim, Yzma, and Medusa! I’m also wondering if there’s a food item that’s complimentary, like the candy at MNSSHP and the cookies at MVMCP? Congrats! The event should be a blast! There will be special menu items available for purchase. Will Disneyland be having this as well? This event is exclusive to Disney’s Hollywood Studios. Sounds like fun, hope something similar comes to California Adventure. When will we know what merchandise will be at this event? It will determine whether I buy tickets or not. 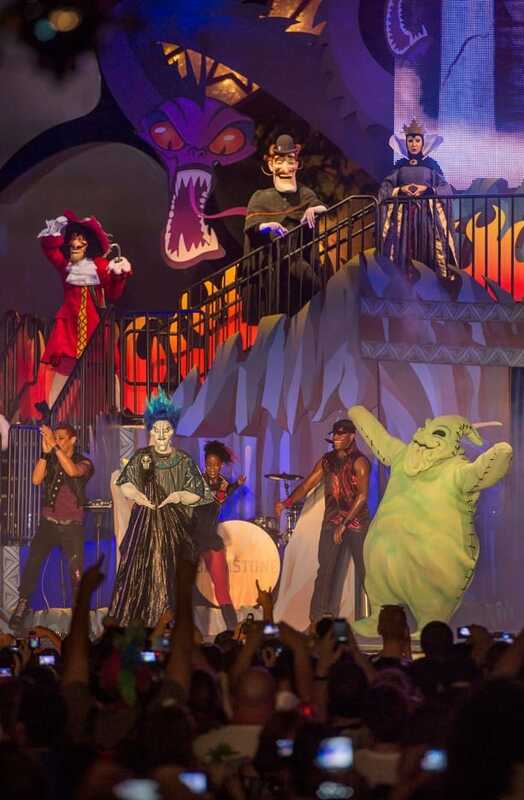 Alejandro – Mickey’s Not So Scary Halloween Party is on the 31st. Is “Specialty Food and Beverage” included in the ticket price? I can’t find any info about it other than that Specialty Food and Beverage and merchandise will be available… and it’s unclear on whether all food/drink will be extra or if anything is actually included in the price. Not expecting Harambe Nights caliber, but some snacks would be nice! There will be special menu items available for purchase. Um why is this not happening on October 31st?